On today's agenda was an early start as we trekked to Stoke Climsland to watch the open training session at Dutchy College. 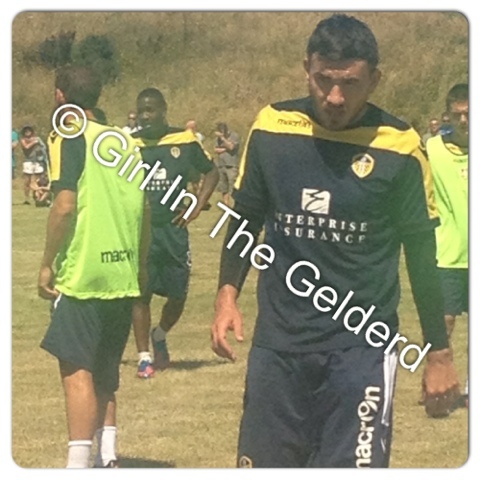 Hot, does not even come close to the weather they had to train in today, I was exhausted standing there watching them!! I had the sun cream slapped right on I tell you!! I'm not moaning though as this weather, is effing BEAUT!!!! Saw a lot of the training drills today which was really interesting for a Football geek like myself, usually you only get to see the half an hour a so Pre-Match warm up but this was more of a session for the lads who dealt with it well. There were a tonne of supporters there which shocked a few people I think, a few hundred if not more. The players were more than happy to stand and have photo's and sign autographs but I don't even think they expected the amount of us that came to watch!! We left the College at about half 12 and went back to the apartment for a while. We could hear the Marina and the beer calling our names though and by 4.30pm we were back out to enjoy the weather. Not as much of a sesh this time though as we treated ourselves to a Dominos and headed back for some beers at the apartment. Another belting day, Bodmin tomorrow!!! !